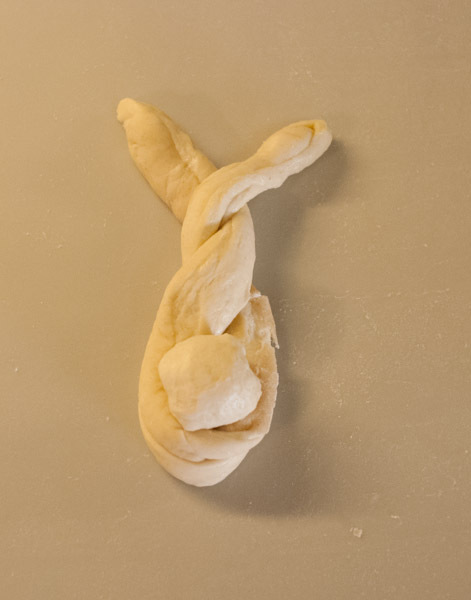 Use your favorite bread dough recipe or pick some up from the grocery store. 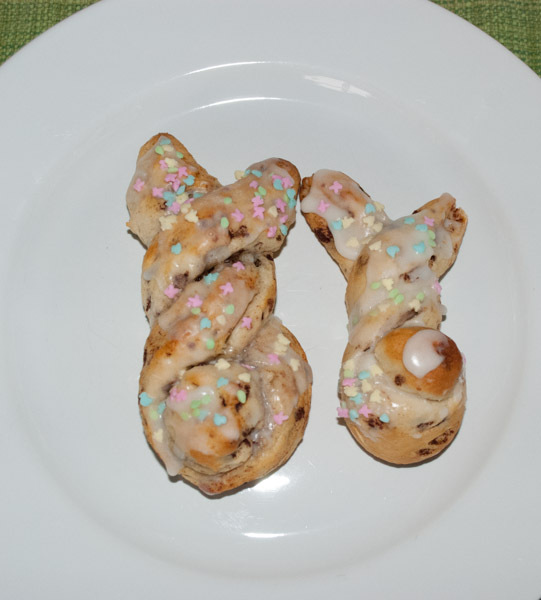 With a few twists and sprinkles, you and your child can make Easter Bunny Rolls for breakfast! 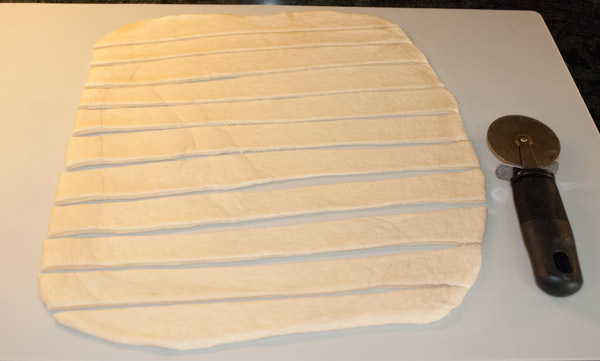 Use a pizza cuter or knife to cut the dough into strips about 1 to 1 1/2” wide. Arrange a strip in the shape of a U then cross the top over once to make bunny ears. Use a bit of dough from another strip to make a bunny tail and place it on the bunny. Finish the rest of the bunnies, and bake approximately 15-20 minutes. We used pizza dough from Whole Foods. 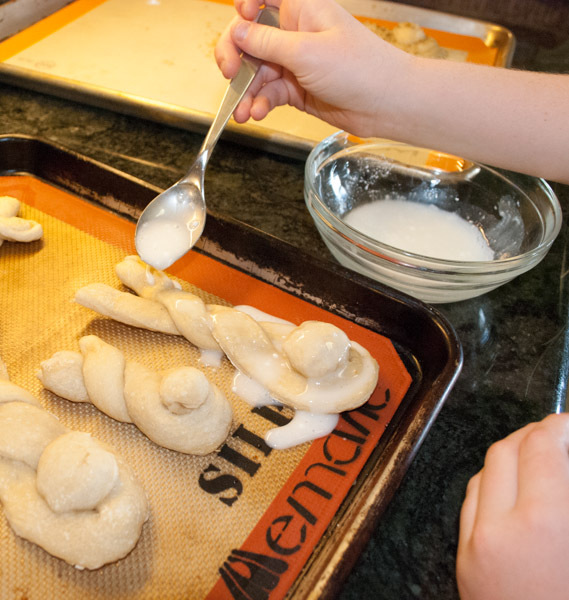 We sprinkled a few with cinnamon and sugar before baking. We also made a few with Italian seasoning and parmesan cheese for dinner time rolls. 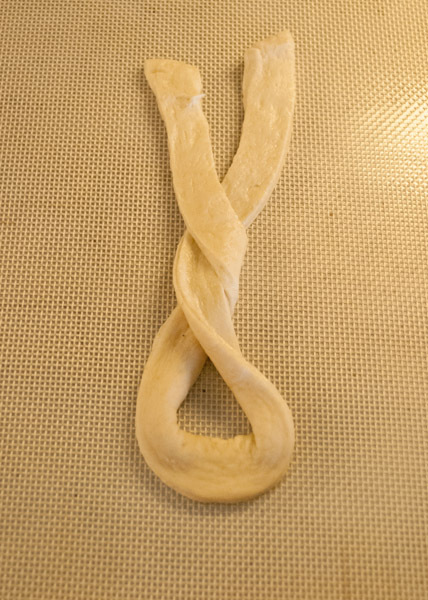 This dough took about 20 minutes to cook. We also make these with this orange roll recipe from eatitupblogspot.com. Use Pillsbury orange or cinnamon rolls for a more decadent treat. 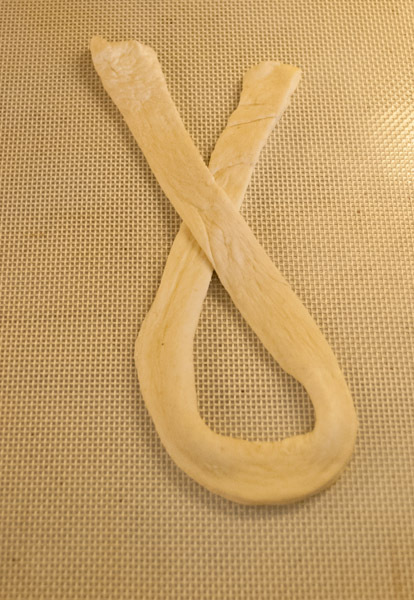 This dough will rise and spread more than bread dough so cut the strips thinner. We bake on silpat mats or parchment paper to make sure our bunnies do not stick. 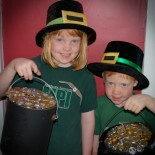 Thanks to mommyskitchen.net for the inspiration! 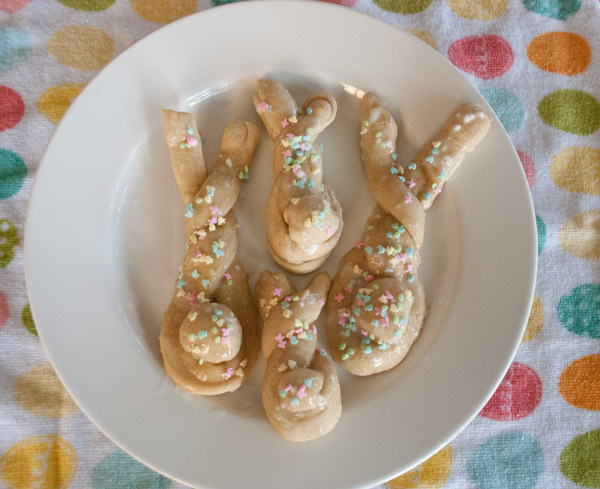 This entry was posted on April 23, 2014 by mdaucello in Easter, Holidays, Recipes and tagged breakfast, bunny, bus, dough, Easter, rolls, sprinkles.